The attack by the Imperial Japanese Army against the Naval Base at Pearl Harbor catapulted the United States into World War II. While many are familiar with the bombing of Pearl Harbor, less is known about the attempts by Japan and the U.S. to avert war. Tensions were running high between Japan and the United States long December 7th. Japan was fighting what was almost a decade-long war against the Chinese in Manchuria. After the bombing of the USS Panay on the Yangtze River in December 1937 (which Japan had claimed was an accident), the U.S. and their allies began sending assistance to China. The Japanese continued their aggression with the occupation of French Indochina, and the U.S. began taking preventative measures. In 1941 the United States ceased oil shipments to Japan. The U.S. and Japan began negotiations to end sanctions and make peace, but their efforts were unsuccessful. President Roosevelt, Secretary of State Cordell Hull, Prime Minister Fumimaro Konoye (at right), and U.S. Ambassador to Japan Joseph Grew were on the verge of arranging a meeting in Alaska, but the parties could not come to an agreement on terms. Robert A. Fearey was serving as the private secretary Ambassador Grew, during the time surrounding the attack on Pearl Harbor. In 1998, he shared his memoirs with ADST, recollecting the days leading up to the attack, the failed attempts at peace and the declaration of war. Read about his time as a detainee in the embassy as well as his thoughts about the failed negotiations written years after the war. You can read Niles Bond’s account of being detained in the U.S. Consulate in Yokohama in the months after Pearl Harbor as well as other accounts of World War II. FEAREY: As the weeks passed, I became aware that Grew and [Embassy Counselor Eugene] Doorman were heavily preoccupied with an undertaking which they believed could critically affect the prospects for averting the war. Though the matter was closely held within the embassy, I learned that it related to a proposal Grew had transmitted to Washington from Prime Minister Konoye that he and President Roosevelt meet face-to–face in Honolulu in an effort to fundamentally turn U.S.-Japan relations around before it was too late. Grew had told Washington that Konoye was convinced that he would be able to present terms for such a settlement at such a meeting which the U.S. and its allies would be able to accept. Konoye had said that the terms had the backing of the Emperor and of Japan’s highest military authorities and that senior military officers were prepared to accompany him to the meeting and put the weight of their approval behind the hoped-for agreement with the President on the mission’s return to Japan. Grew and Doorman had strongly recommended that Washington agree to the meeting. Reverting to the Konoye proposal, although my knowledge of the cables back and forth was limited at the time, the records show that Washington’s initial reaction to the proposal was not unfavorable. The idea caught the President’s imagination. In a late August session with Japanese Ambassador Kichisaburu Nomura, Roosevelt “spoke of the difficulty of going as far as Hawaii and elaborated his reasons why it would be difficult to get away for 21 days. He turned to Juneau, Alaska as a meeting place, which would only require some 14 or 15 days, allowing for a three or four days conversation with the Japanese Prime Minister…. In his August 28 reply to Roosevelt through Nomura, Konoye said that “he would be assisted by a staff of about twenty persons, of whom five each would be from the Foreign Office, the Army, the Navy and the Japanese Embassy at Washington.” Nomura “thought that the inclusion of Army and Navy representatives would be especially beneficial in view of the responsibility, which they would share for the settlement reached.” Konoye told Grew about this time that a destroyer with steam up awaited in Yokohama to carry him and his associates to the meeting place. An Embassy officer who lived in Yokohama confirmed this. In succeeding meetings, Roosevelt and Hull reiterated these two themes: that the proposed meeting must be preceded by preliminary U.S.-Japan discussions of (by which they clearly meant agreement on) “the fundamental and essential questions on which we seek agreement,” and by U.S. consultation with our Chinese, British and Dutch allies. In a September 4th meeting with Nomura, Hull said that “this was especially necessary with the Chinese who might otherwise be apprehensive lest we betray them. He (Hull) felt that before we are in a position to go to the Chinese, the American and Japanese Governments should reach a clear understanding in principle on the various points to be discussed affecting China.” Concern for Chiang Kai-shek’s reactions was clearly a key factor in the Administration’s thinking. Konoye [seen at right], in his initial broaching of the meeting idea in the spring, had explained to Grew, and he to Washington, why it was necessary for him to meet personally with Roosevelt outside Japan and why he would be able to propose terms at such a meeting which he could never propose through diplomatic channels. If he had said he was to use such channels to provide the specific assurances Washington sought on the China question and other issues, his Foreign Minister, Yosuke Matsuoka, who had led Japan into the Axis Pact with Germany and Italy and who, with the Germans and Italians, would do anything to prevent a Japanese accommodation with the U.S., would immediately leak those assurances to fanatical Japanese elements and to the German and Italian embassies; he (Konoye) would be assassinated, and the whole effort would fail. A further risk of hostile leaks lay in the codes through which the Embassy and the State Department communicated. The Embassy hoped that one of its codes was still secure, but Konoye told Grew that he believed that Japanese cryptographers had broken all the others. The Embassy did not know that we had broken the Japanese codes and that Washington knew everything that passes by cable between Tokyo and the Japanese Embassy in Tokyo. 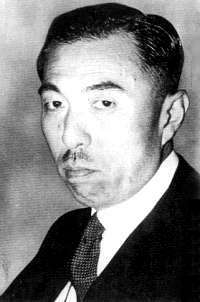 After Matsuoka was forced to resign as Foreign Minister following the German invasion of Russia in June, Konoye told Grew, and he Washington, that Matsuoka had left supporters behind in the Foreign Office who would equally leak the positive and forthcoming terms which he (Konoye) intended to propose to the President. On the other hand, Konoye maintained that if he, accompanied by senior representatives of the Army and Navy, could meet face-to-face with Roosevelt, propose those terms and have them accepted in principle, subject to Washington and Allied concurrence and the working out of detailed implementing arrangements, the reaction of relief and approval in Japan would be so strong that die-hard elements would be unable to prevail against it. Grew and Doorman supported this reasoning. From the Emperor down, they told Washington, the Japanese knew that the China venture was not succeeding. Particularly after the July freezing of Japanese assets abroad and the embargo on oil and scrap shipments to Japan, the endless war in China was driving Japan into ruin. Every time a taxi went around the corner, Japan had less oil. There was solid reason to believe that the bulk of the Japanese people, except for the die-hards and fanatics, would sincerely welcome a face-saving settlement that would enable the country to pull back, on an agreed schedule, from China and Southeast Asia, even if not from Manchuria. Japan had now held Manchuria for nine years and successfully integrated its economy into the homeland economy, and its disposition presented special problems which would have to be worked out in agreement with Nationalist China (Chiang Kai-shek reportedly declared in 1937 that China was determined to give up no more of its territory — a tacit admission that the return of Manchuria to China could not at that time be expected). But the time was now — the opportunity had to be seized before Japan’s economic situation and internal discontent reached so serious a level that the military felt obliged and entitled to take complete control and launch Japan on a suicidal was against the West. As the weeks passed and Washington still withheld approval of Konoye’s meeting proposal, he and Grew became increasingly discouraged. Konoye warned at their secret meetings that time was running out, that he would soon have no alternative but to resign and be succeeded by a prime minister and cabinet offering far less chance of determinedly seeking and being able to carry out a mutually acceptable U.S.-Japan settlement. Again and again Grew urged Washington to accept the meeting as the last, best chance for a settlement. 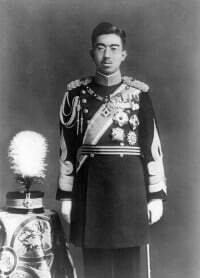 He urged that not only Konoye, but he and Doorman firmly believed the Emperor and Japan’s top military and civilian leaders wished to reverse Japan’s unsuccessful military course, if this could be accomplished without an appearance of abject surrender. Japan could not pull its forces out of China and Indochina overnight without such an appearance, but it could commit itself to a course of action which would accomplish that result in an acceptable period of time under effective safeguards. Personalities can make an important difference in such situations. 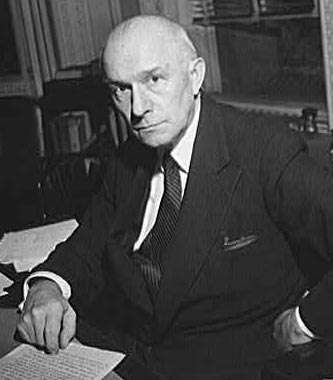 Secretary Hull’s principal Far Eastern advisor was a former professor named Stanley K. Hornbeck. Coming to the post with a China background, he was personally known by Grew and other Embassy Tokyo officers to have shown disdain and dislike for the Japanese. Word reached the Embassy that it was largely as a result of his influence and advice that Roosevelt’s and Hull’s initially favorable reaction to the meeting proposal had cooled. It was largely at his insistence that the policy of requiring Japan to provide clear and specific assurances on outstanding issues, particularly respecting China, before such a meeting could be held had been adopted. Hornbeck was quoted as saying that Grew had been in Japan too long, that he was more Japanese than the Japanese and that all one had to do with the Japanese was to stand up to them, and they would cave. The Embassy heard that State’s “Japan hands,” led by Joseph W. Ballantine, tended to agree with its recommendations, but how strongly was not clear. What did seem clear was that Hornbeck had the upper hand and that his views were prevailing with Hull and Roosevelt. On October 16, Konoye, having pleaded and waited in vain for U.S. acceptance of his meeting proposal, resigned and was replaced by General Hideki Tojo. 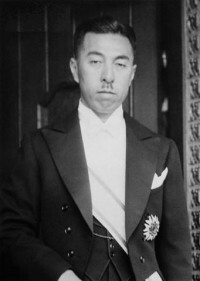 In a private conversation with Grew, Konoye put the best face he could on this development, recalling that Tojo, as War Minister in Konoye’s cabinet, had personally supported the meeting proposal and had been prepared to put his personal weight behind the hoped-for agreement with the President. But Grew and Doorman now held little hope for peace, believing that the chance which Konoye had presented of a reversal, not at once, but by controlling stages, of Japan’s aggressive course had been lost. The Washington talks continued, and Grew employed his talents to the full with his old friends, the new Foreign Minister, Admiral Teijiro Toyoda, and others to make them succeed. But he was privately frank to say that in his view, the die had been cast when Konoye gave up on the proposed meeting and resigned. Reflecting this view, Grew sent a number of cables during October and November, warning that the Japanese, finding themselves in a corner as a result of the freeze and embargo, not only might, but probably would, resort to an all-out, do-or-die attempt to render Japan invulnerable to foreign economic pressures, even if the effort were tantamount to national hara-kiri. Earlier in the year, he had reported that the Peruvian Ambassador in Tokyo had informed diplomatic colleagues that a Japanese Admiral in his cups had been heard to say that if war came, it would start with an attack on Pearl Harbor. The contrast between Grew’s prescient warnings and Hornbeck’s reported view that if one stood up to the Japanese, they would cave, could not be more stark. But “China-hand” Hornbeck’s analysis prevailed over that of our Tokyo Embassy, not only with Hull and the President, but also apparently with our military authorities responsible for our Pacific defenses. And so war came. It was Sunday in the U.S. but Monday morning, December 8, when the news reached us in Tokyo. At about 8:00, I walked over from my apartment to the Embassy chancery–a distance of about forty feet. There, standing or lying around on the chancery lobby floor, were a collection of golf bags. It was the day for the “Tuffy’s Cup” annual golf tournament, inaugurated some years before by the British Naval Attaché, Captain Tuffnel. Chip Bohlen came down the stairs. Had I heard the news? The Japanese had attacked Pearl Harbor and other points around the Western Pacific, and the Imperial Headquarters had announced that a state of war existed between Japan and the U.S. and its Allies. As I absorbed this intelligence, other Embassy officers arrived, most having heard the news from their drivers, who had heard it over their car radios. The Ambassador had not yet come in, so I went up to his residence. 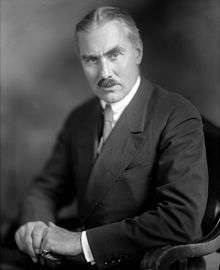 He was relating to Ned Crocker how he had delivered a personal message from the President to the Emperor through Foreign Minister Togo [named to that position in October 1941] at midnight and how he had been called over to Togo’s office at 7:30 that morning to receive the Emperor’s reply. Grew said that if Togo had known about the attack, he had given no sign of it on either occasion, through his manner had been even stiffer than usual that morning. That, however, could be accounted for by the fact that the Emperor’s response to the President’s message had broken off the year-long U.S.-Japan negotiations. Grew later heard on good authority that Togo knew nothing of the attack until the news came over the radio early Monday morning…. I then went down to the compound’s front gate, which was closed tight with Japanese police standing all about. Outside, up the street, I heard a newsboy calling “Gokkai, Gokkai,” meaning “Extra, Extra” and waving copies of the English language “official” Japanese Government newspaper, The Japan Times and Advertiser, on which I could see gigantic headlines. It occurred to me that the paper would probably not only be informative on what happened, but would make a great souvenir. So I walked as inconspicuously as I could back along the eight-foot wall surrounding the compound to a corner where some small pine trees provided a little cover. There I scrambled over the wall, bought two copies of the paper, one to give to Grew and one to keep, and scrambled back. Fortunately, this somewhat foolhardy maneuver was not noticed by the police, who I knew had orders to allow no one in or out of the compound without express official permission. Mr. Grew was delighted to receive his copy. He asked me to start collecting issues of the Japan Times Advertiser every day for him to take back to Washington as of possible value to U.S. intelligence services and historians. My copy of the December 8 issue, with its massive headline, WAR IS ON, hangs framed on our basement room wall at home. Its probable value as a collector’s item is enhanced by the fact that the Tojo Government, at about the time I went over the wall, ordered that paper’s sale stopped and required everyone who had bought a copy to turn it in to the police for destruction. This was because the paper contained a fuller account of Konoye’s efforts to avoid war that the government wanted known. The paper also contains the English version of the Imperial Rescript to the Japanese people on the outbreak of war. Probably drafted and translated by the Lord Keeper of the Privy Seal, Marquis Kido, who was fluent in English, it is a masterpiece of prose, almost Biblical in its majesty and sweep.